This is the later PAL version of Wings. Although it is playable, there are some bugs that still need to addressed before being released. 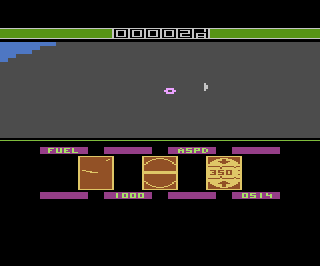 This version appears to have a nasty bug which occasionally causes the game to crash if you continually pull back on the joystick when taking off. Oddly enough the gauges which are functional in the earlier prototype have been turned off in this version, making it a bit harder to play. 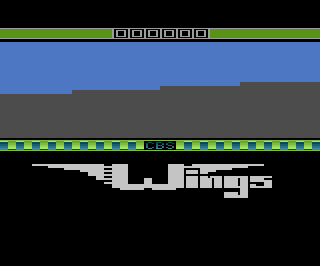 Since Wings was a RAM Plus game, it required a special prototype board. 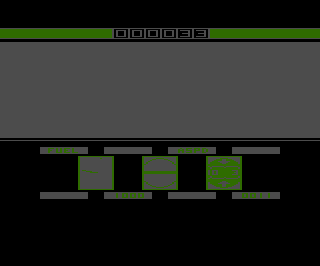 This board is called a "Scott box", presumably because it was designed by Scott Robinson and Ed Pryzby. Although you cannot read the labels, the three EPROMs in the board are for Wings. The 21:40 on the EPROMs are the time they were created (9:40pm).